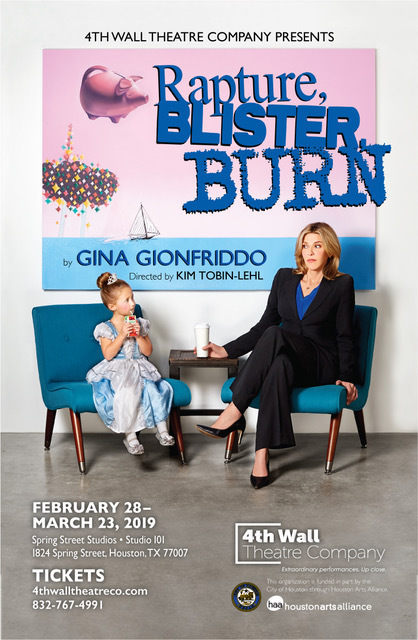 Hot off the heels of sellout smash “Pride and Prejudice,” 4th Wall Theatre Company is starting 2019 with another Houston premiere, “Rapture, Blister, Burn” by Gina Gionfriddo. This 2013 Pulitzer Prize Finalist is a comedic but unflinching look at gender politics in the wake of fourth-wave feminism. The play follows two successful women on radically opposing trajectories. One has built a career as a rockstar academic while the other has built a loving home; each, however, longs for the road not taken. In this dangerous game of musical chairs, audiences will enjoy Gionfriddo’s searing insight and trademark wit on full display. 4th Wall Theatre’s production of “Rapture, Blister, Burn” will run February 28 – March 23, 2019, at Studio 101, Spring Street Studios, 1824 Spring Street, Houston, TX 77007. 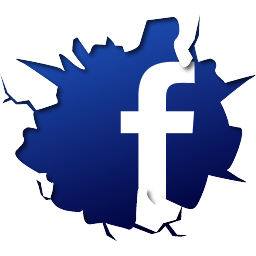 Shows run at 7:30pm on Thursdays through Saturdays and at 3:00pm on Sundays. Tickets run from $17 to $53, with a Pay-What-You-Can performance Monday, March 18. There will be cast talkbacks following the Sunday matinees on March 10 and March 17. The play contains adult language and themes.